The King’s Quest Promo Video on Vimeo. 2011 marked the 400th anniversary of The King James version of the Bible and Scene Change Theatre Company marked it with a project called “The Kings Quest.” The rehearsal process uses a number of educational techniques over the course of the day. 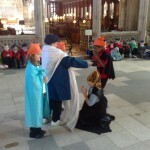 Children learn about the history of how the King James Version (KJV) came into being and through drama workshops explore the consequences this had, both on people then, and throughout history. There is also be time to reflect and opportunity to shape the final performance with the children’s own ideas and suggestions. However, you might ask how this four hundred year old bible translation is relevant for us today. And why on earth write a play about it? The King James Version (KJV) was as revolutionary in its day as the internet has been for us today. For over a thousand years only the most learned and scholarly in the church had access to the bible’s teachings. Everything was written and read in Latin and Greek but suddenly people could read the bible for themselves. Imagine hearing stories like the Good Samaritan or Jonah and the whale for the first time and consider the impact they would have had? Scene Change Theatre Company’s skilled workshop leaders take the children on an important journey that highlight the importance of understanding our history and the impact this literature had on our nation. As a group response we explore what positive action we can take for the future of our world by learning from the lessons of the past. The day includes acting skills, focus exercises, discussion forums, and interactive workshops, culminating in a performance with movement, costume and song. 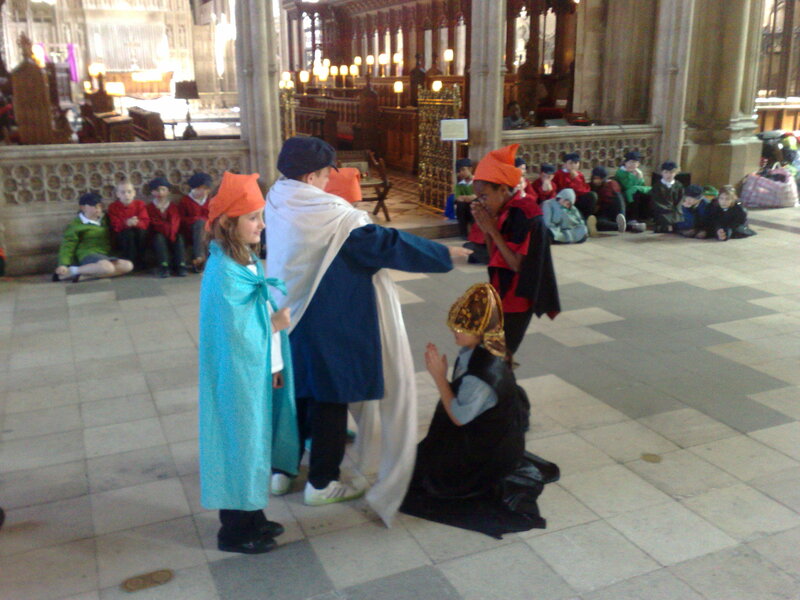 It has been especially designed for use by children in years 4-6, but can be modified for use with other age groups. If you have any questions about the day or about placing a booking, please contact us.